The Royal Society for the Protection of Birds (RSPB) manages a stretch of basalt cliffs along the north coast of Rathlin, where Northern Ireland's largest seabird colony breeds . Visitors are not encouraged to venture along these cliffs due to safety reasons . Magnificent views can be seen from the West Light Viewpoint where you can also watch the activities of puffins, guillemots, kittiwakes razorbills, and fulmars as they raise their young during the summer months . The viewing area is only accessible under supervision of the RSPB warden, who can be contacted on +44 (0) 28 2076 3948 or check their web site www.rspb.org.uk for further details . A wide variety of other birds can also be seen on the island, including peregrins, buzzards, wheatears, stonechats, manx shearwaters and skuas . Breeding lapwing, snipe, sedge warblers and reed buntings can often be seen on the freshwater marshes, and little grebes, tufted ducks, moorhens and coots can be seen in small loughs along the roadside. Grey and common seals are generally to be seen basking on the rocks around the island, and sometimes schools of dolphins and porpoises can be seen in the Channel . There are also some of the rarer species of bats near the Church. A wide range of interesting and often rare wild flowers brighten the island in spring and summer . In spring, yellow gorse blossom, known locally as "whin", covers the hillsides, to be replaced later in the year with western gorse, contrasting vividly with the various shades of purple produced by three species of heather . Orchids and primroses also provide colour at different times of the year . More detailed information on flora can be obtained from the RSPB. The National Trust has a way-marked trail through their property at Ballyconagan, with signage to indicate the way to the old Coastguard Lookout . Further Information Contact National Trust at +44 (0) 28 2073 2143. Walking and cycling are two of the best ways to see the Island . Most road surfaces are suitable for cycling and are safe for walking as there are few motor vehicles . The three main walks are to the West Lighthouse and RSPB Sea Bird Centre, a circular route towards the East Light House with the Ballyconagan way-marked trail along the way, and south to Ushet Lough and the Rue Lighthouse with Roonivoolin RSPB way-marked trail along the way . We also have a wide range of annual events where visitors are always welcome . 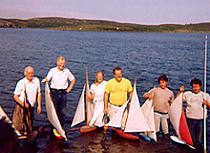 The Rathlin Festival takes place in July, when there is a week of music, amateur dramatics, home made raft race around the harbour and other family activities . The various competitions in our model yacht racing season from Easter to August are well worth a visit, and our sports day is held in August when home-made rafts race around the harbour . 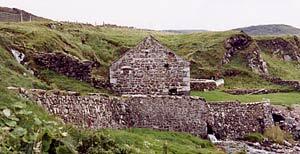 Anyone interested in knowing more about Rathlin Island should visit the Boat House Museum, within easy walking distance of the ferry . Here you will find helpful and friendly information on the island's history, as well as displays, photographs and articles . This is where the island's past is kept safely for posterity and interpreted for visitors. Open 7 days per week from May to August, 11.00am - 4.00pm. These premises are all situated in and around the harbour area. The shop is situated close to the ferry terminal and offers a range of basic foodstuffs. Rathlin Development and Community Association – www.rathlincommunity.org – For information on the Businesses on the Island and forthcoming events.